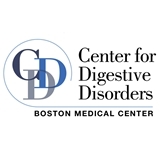 BMC Center for Digestive Disorders (Boston) - Book Appointment Online! By bringing together Boston Medical Center’s accomplished Gastroenterology and Gastrointestinal Surgery Departments, the Dempsey Center for Digestive Disorders, established at Boston Medical Center in 1999, offers a fully integrated and interdisciplinary team of nationally renowned physicians, surgeons and other clinical experts that evaluate and treat a wide range of digestive disorders. Areas of expertise include inflammatory bowel disease (ulcerative colitis and Crohn's disease), acid reflux and esophageal disorders, colon cancer screening and management, biliary and pancreatic disorders, and liver disease. In addition, the center’s care team collaborates with clinical experts in nutrition, nursing, psychiatry, oncology and radiology. The Center for Digestive Disorders is located in the Moakley Building, 2nd Floor, at 830 Harrison Avenue, Boston, MA 02118.